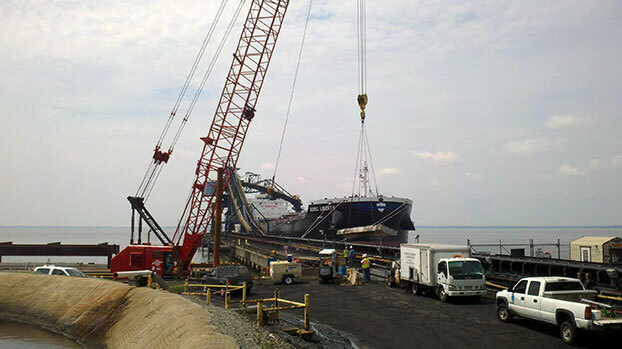 Crofton was the successful low bidder on a 4 year pier rehabilitation project for DTA, who is a large coal exporter. 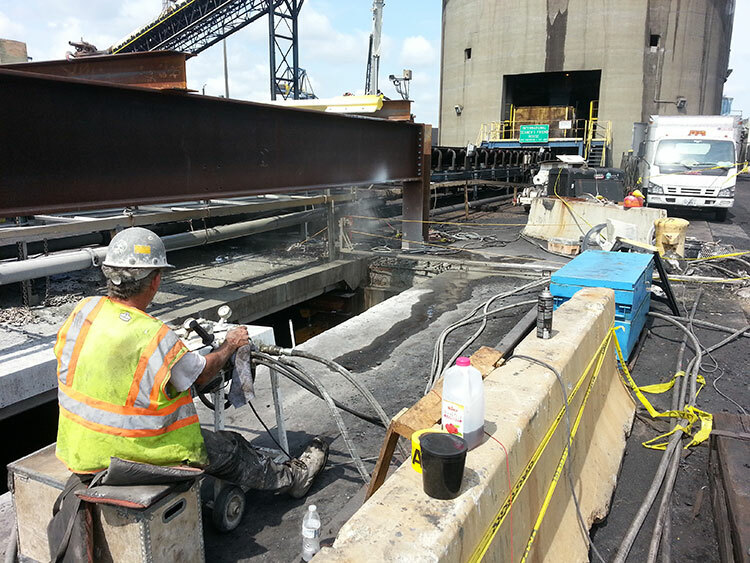 Phase 1 of the project consisted of replacing a 30’wide x 20’ long precast deck section which spanned from the abutment to the first pile bent. 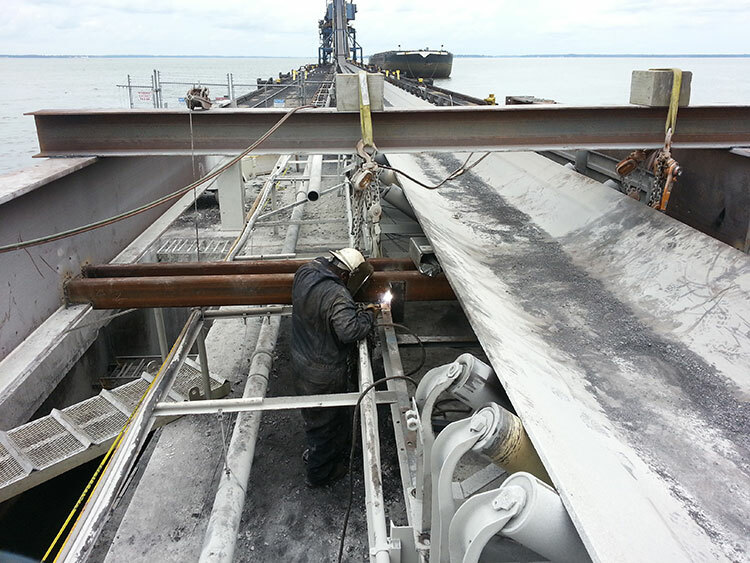 This project had to be completed while the facility remained operational, so Crofton designed and installed a temporary support system which could support the load of the operational conveyor during the repair. 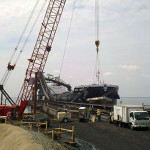 Once the support system was installed, the deck was cut into three sections. 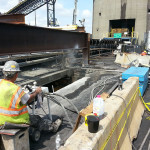 The two sections of the deck that were not below the conveyor were removed by coring holes thru the slabs and using a slab saw to make relief cuts. 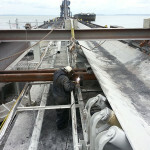 The deck section below the conveyor was removed by first installing wall mount support brackets and beams which could temporarily hold the load of the slab. A wire saw was then used to make the relief cuts. Once the slab was free, it was jacked up, rollers were placed beneath it, and it was slid out from underneath the conveyor. The new deck sections were then installed in the reverse manner and a topping slab was placed.